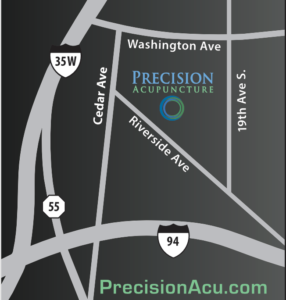 I feel quite fortunate to know that I have such a talented professional to turn to for treatment and care - Precision Acupuncture | Shane Berquist, L.Ac., M.Sc.O.M. “I initially sought acupuncture for a shoulder injury I sustained falling off my bicycle. It had been months since the accident, but I was experiencing recurring muscle spasms and tenderness in my shoulder and surrounding muscles in my back, neck and arm. Before I considered acupuncture, I was prescribed muscle relaxers by my doctor. These obviously helped with the pain, but did little to remedy the injury that was causing the ongoing muscle spasms. I had never tried acupuncture before, and I was admittedly a little anxious about the prospect of being stuck with needles, but after a little research, it sounded like something that could really help with my injury. I was lucky to schedule my first appointment with Shane Berquist, because shortly into the introductory consultation, my anxiety had all but dissipated. Shane took time to listen to exactly how I was experiencing the pain in my shoulder and seemed determined to truly assess the best approach to treat it. I left even after my first session with noticeably less pain in my neck, back and shoulder and considered the possibility that I was experiencing a placebo effect (having never tried acupuncture before that, I was still a bit of a skeptic.) The proof was in the pudding, however, because after only five sessions with Shane in conjunction with an herbal remedy that he prescribed, the pain that I had been struggling with for months had disappeared, nor has it resurfaced in over a year!